Organic Thread holds it all together. Fiberactive Organics, LLC is the world’s source of organic cotton sewing thread. We support organic farmers, manufacturers of organic fiber products and those who want to live an organic lifestyle by providing a variety of organic sewing thread and sewing notions. We believe in leading the change to a sustainable society with something as small as thread. Above Photos: All of the photos above are of products that our customers make with our thread. 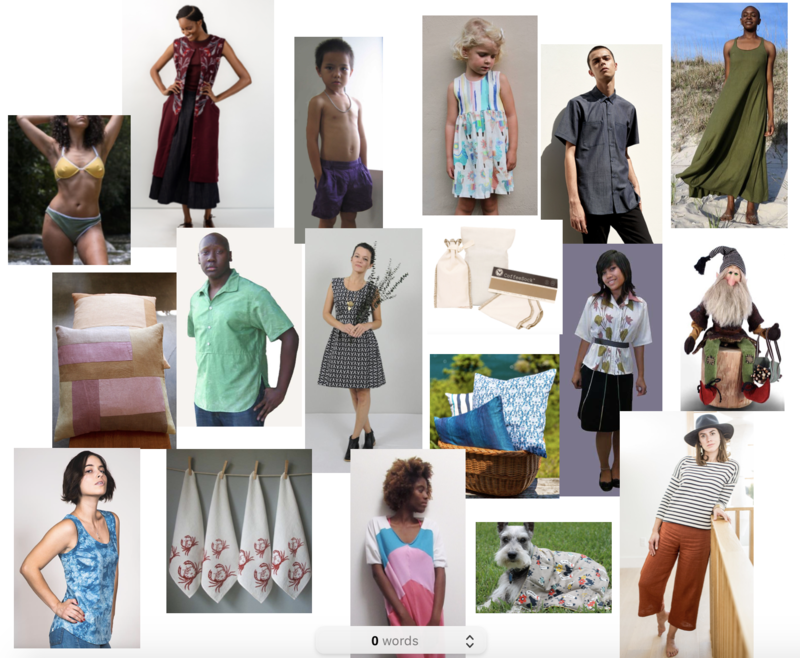 You can find all the contact and shopping information for these great designers on our “Who’s Using Our Thread?” page. The companies represented are (from left to right) Unity Outfitters, Alabama Chanin, Milkweed & Mango, Article by Courtney Holmes, Gaia House, G Roslie, Coral Marie, Coffee Sock, Linda Cabot Designs, Folklore Doll Company, Sustain by Kat, Madder Root, Habeus Corpus, Bonnie Theodora, and Charlie & Me Designs. All of the products sold at Fiberactive Organics, LLC are made of 100% certified organic cotton. And each brand of thread is individually certified to the Global Organic Textile Standard (GOTS). Fiberactive Organics, LLC has been a proud member of the Organic Trade Association for more years than we can count. The OTA works tirelessly to defend the legal issues around organic production and to educate the public and its leaders about the definitian and imapct of organic products in all parts of our society and the world. OTA is a place where organic producers can connect, support each other and expand what it means to be earth friendly. Fiberactive Organics, LLC is a member of Textile Exchange, a global nonprofit organization that works closely with all sectors of the textile supply chain to find the best ways to create positive impacts on water, soil, air, animals, and the human population created by the textile industry.